Even experienced homebuyers can face challenges in the final stages of a real estate closing–one of the most common issues they face is deciding how to take the title to their new home. For any residential real estate closing, the title of the property is in the buyer’s name. Warranty Deed – The Grantor (Seller) is guaranteeing a clear title of the real property to the Grantee (Buyer). Provides the highest form of protection to the Grantee. This is because the Grantor is warranting that there will be no third-party claims to the property; they own it completely; the property is free and clear of any encumbrances and they will defend this in a court of law if it becomes necessary. This is even if the Grantor did not know of any issue with the property, i.e. from before they purchased the property. There is a bit of risk to the Grantor with this type of deed. Hence the importance of the title insurance policy that is issued after the closing. Special Warranty Deed – Primarily used in commercial transactions, bank owned property and property purchased at a tax deed sale or on the courthouse steps. The difference is that Grantor (seller) only warrants the property from the time they came into possession of it and not prior to this date. Another reason why the title insurance policy is so important. Quit Claim Deed – Makes no assurance that the Grantor (Seller) actually has any interest or ownership in the property. All a quit claim deed says is that IF the Grantor has any ownership interest in the property they are transferring it to the Grantee (Buyer). Not that they DO have any ownership interest but IF. This type of deed is not insurable with title insurance. 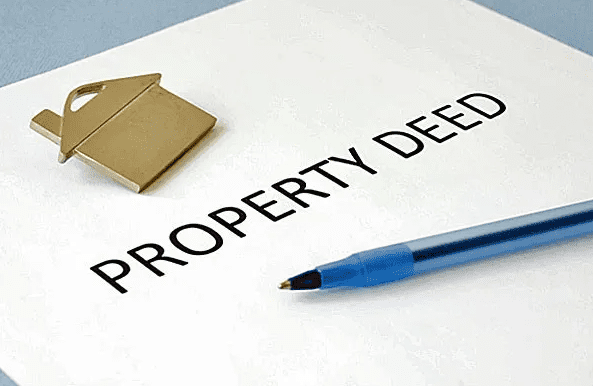 Deed in Lieu of Foreclosure – This type of deed is when a property owner releases (or surrenders) their property back to the bank in exchange for being released of any obligation to repay the mortgage. Usually chosen because the property owner knows they are about to be foreclosed on, and by executing the Deed in Lieu of Foreclosure a long and drawn out and costly lawsuit is avoided. Personal Representative Deed – This type of deed is used in property that has, or is being, probated. The court has represented a Personal Representative of the Estate of the deceased person. Once the Court has approved the sale of the real property the Personal Representative will sign on behalf of the estate for the transference of the property to the new owner. Trustee Deed – In Florida, where probate is mandatory, many people are putting their property into their Trust. Whatever has been put in the Trust will by-pass probate. The deed transferring the property will be executed by a Trustee of the Trust on behalf of the Trust. There is also specific language that should be on the trust deed when conveying the property. Stay tuned, next month will be a continuation of this post, focusing into the ways of taking title (vesting).